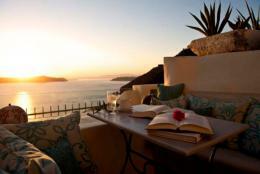 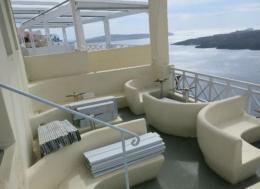 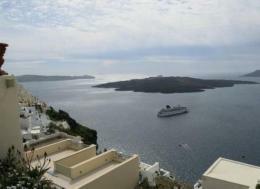 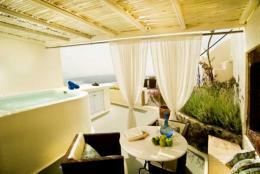 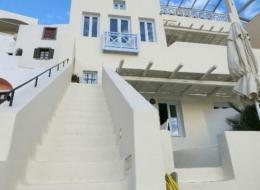 Enigma apartments are perched on the cliff side of Western Santorini, in the heart of Fira, the Islands capital. 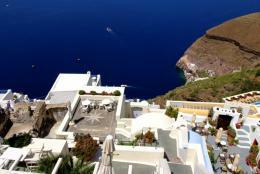 Its wonderful location provides its guests with a spectacular view of the famous volcano, Caldera complex, the Aegean Sea, the old port and best of all the celebrated sunset. 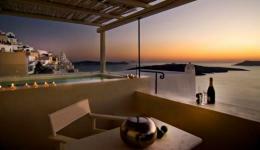 The hotel provides an amazing atmosphere and luxurious hotel with 8 elegant suites and apartments, built in traditional Cycladic architecture.